Narrated by actor Tom Hanks and created by the American Museum of Natural History in collaboration with NASA, this program whisks the viewer on a fascinating ride from Earth to the outskirts of the universe. The full-dome experience simulates a trip through the cosmos, incorporating actual images of space from NASA and the Hubble Space Telescope. Over 16 million colors dance onscreen as the audience leaves Earth and dodges such obstacles as asteroids, stars and black holes. 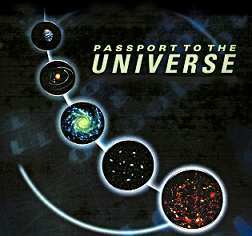 Enjoy the epic beauty of the universe like never before in this amazing multimedia experience! Source: Developed by the American Museum of Natural History in collaboration with NASA.